Nagios monitoring is one of the most important tasks of the system administrators and by default we are checking the status every time in the browser but this makes little time waste, so it is better to have a floating notifications on the screen. This helps in easily identifying the server warnings. And here I am familiarizing with a tool “Nagstamon”, which notifies the events in a floating style at the top of the screen. Then the installation can be done as said at top using yum. 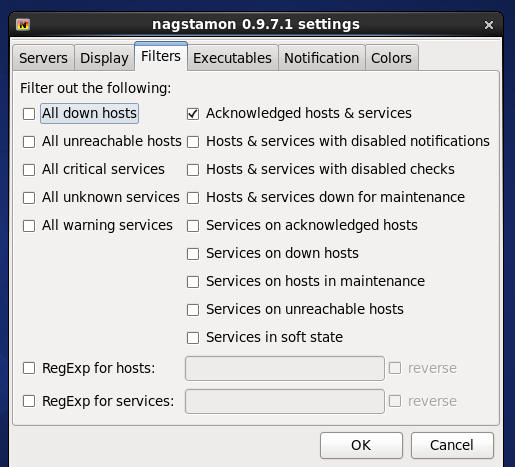 Nagstamon opens up and enter the nagios server credentials as shown in these example pictures. And in the setting the notifications can be customized. Hope this helps you all a lot. Comment me if having any doubts.